Six Liberal Senators on the Senate Committee on National Security and Defence have gone ahead and put out a moderately hard-hitting report on the current state of the RCMP. The full text is available here. The Senators are blunt: business as usual is not an option. They are less than impressed by the flabby performance of Commissioner William Elliott, and they are appalled by the shape the RCMP is in at the moment. They focus upon four key issues [emphases added]. Despite a series of deaths and other tragic outcomes involving RCMP officers – and despite repeated recommendations that the current limp system of reviewing these kinds of incidents be strengthened – there has been no change to the system whereby the RCMP polices itself. RCMP Commissioner William Elliott finally came up with a plan to put an end to this practice, but it’s full of half-measures that won’t do the job. Investigations of the Commission for Public Complaints Against the RCMP are currently based on evidence voluntarily provided by the RCMP. The Commissioner of the RCMP is free to dismiss the CPCs findings, and to ignore its recommendations. The government's major move on the oversight file has been to refuse to renew the contract of Commissioner Paul Kennedy, effectively firing him at the end of 2009 after he had complained repeatedly about his office's weak mandate and lack of funding. And they sum up succinctly: "RCMP reform is never going to be believable to the public until a credible method of policing the Service is put into place." It is not the RCMP's role to jury-rig a hodge-podge system of its own design to police itself, and to fall back on its own investigators whenever it can't get anyone else to do the job. It is the federal government's responsibility to design and fund a federal review agency that deals with all serious allegations against the RCMP across the land, and so far it hasn't come through. In addition to introducing an RCMP review institution with teeth, the RCMP should adopt the use of body cameras that would protect both police and members of the public from inaccurate accusations against one another. These cameras wont get in the way – modern electronics means that these units can be smaller than cell phones. They should also be installed in RCMP vehicles, as they are in taxis in many cities. The Senators point out that only one in five (19.9 percent) of the RCMP's officers are women. At the top echelons, 6 out of 75 officers are women. 6.1% of RCMP officers are from visible minorities. Only 3 out of 169 officers at or above the superintendent rank are visible minorities, none of whom, in fact, rank higher than superintendent. 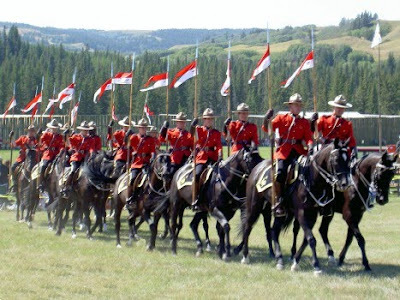 They find no commitment on the RCMP's part to remedy current deficiencies in this respect. Diversity has "proceeded at a snail's pace," and the RCMP has set itself such absurdly easy recruitment targets that they are already exceeded in the force. [P]art of the reason the RCMP isn’t performing the way it should is that its people are stretched way too thin. There are staff vacancies everywhere, and a successful recruiting program is likely to be cut back before the holes are filled....With federal government cutbacks in the works, we see a distinct possibility that RCMP reform will never get out of the starting blocks. This is obviously a concern, but much of this overstretching arises from an ever-widening mandate, of which the Senators (unwisely I think) approve. The Senators believe that an RCMP Commissioner should be from the ranks. With a strong, toothy civilian oversight system, this makes a lot of sense: an outsider is unlikely to have the detailed knowledge of policing that is required for effective leadership. There is much to chew on in this report. Do the proposed reforms go far enough, or should the "horribly broken" RCMP, with its toxic organizational culture, be scrapped and rebuilt from the ground up? Should the force keep its ever-widening ragbag of a mandate, as the Senators would like, necessitating the hiring of between 5000-7000 new officers, or should that mandate be restricted? Although several recommendations attack serious institutional problems, including the leadership structure, there is no recommendation for a detailed top-to-bottom organizational audit, something I believe is essential. The Senators detail 10 years of warnings about the failings of the institution. Clearly the blame doesn't lie entirely with the Conservatives, although they have shown every sign of upholding the hands-off tradition of their predecessors. In any case, a combination of ineptitude, benign neglect and sheer lack of political will on the part of our successive governments has permitted a malign, top-down paramilitary culture to become deeply entrenched. Matters have been allowed to deteriorate to such a degree that, even if the Senators' recommendations were acted upon (which is unlikely), it is questionable that the RCMP can be transformed merely by implementing the few piecemeal reforms suggested. But as a starting-point for a public discussion, one that we badly need to have, "Red Serge Revival" is a serious contribution, and well worth a read. This page contains a single entry by Dr. Dawg published on February 22, 2010 12:36 PM. Rights and Democracy: Church and State was the previous entry in this blog. Rights and Democracy: meet the new boss... is the next entry in this blog.